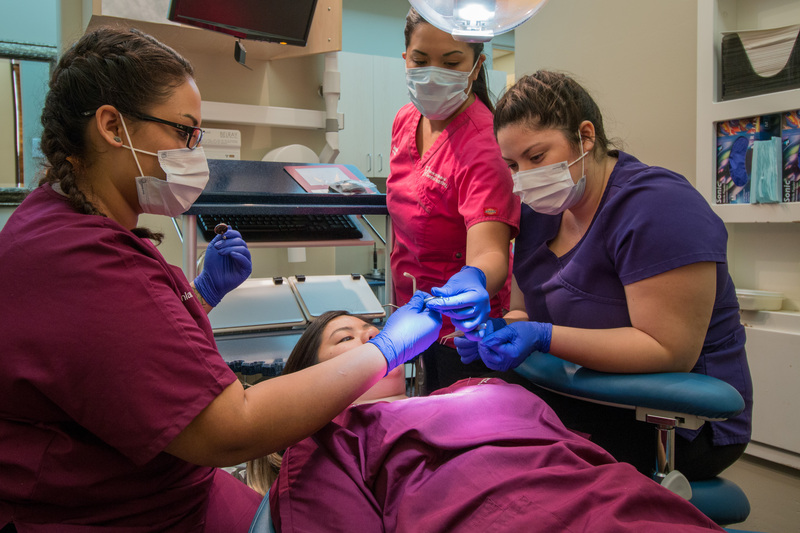 There are a variety of safety measures taken to ensure the safety of the dental staff. Sterilization, masks, gloves, and procedures all play a part in keeping everyone safe. Medical exam gloves play a big part in a dental assistants safety. They are used to protect the person wearing them. But they are also important to the patient as well as the dental staff. Let’s take a closer look at what exactly the glove can do and why they are so important to use. It sounds surprising, knowing what we do about cleanliness. But surgeries used to be performed without wearing gloves, masks, or any other protective equipment. In fact, it wasn’t uncommon for surgeons to move from one surgery to the next without even washing their hands. The origin of the exam glove dates back to 1889, shortly after John Hopkins Hospital opened it’s doors. Dr. William Stewart Halsted was the hospitals chief of surgery. He was known for cleanliness and precision and is known as the founder of the surgical glove. Dr. Halsteds nurse had a reaction to one of the chemicals used during surgery. This sparked him to work with a rubber company to create the first rubber glove. The nurse loved them so much that many more pairs were ordered. Eventually the entire surgical staff was wearing the rubber gloves. However, they liked them for the increased dexterity the gloves gave and didn’t even give much thought to hygiene. Surgical gloves have come a long way since they were first developed. In 1894, they were made sterile by Dr. Joseph Lister who was the first doctor to have his tools sterilized. In 1965, more extensive research began and the first disposable gloves were developed. In 1992 the Bloodborne Pathogens Standard was developed by OHSA to protect worked in the medical industry. And today, nitrile gloves are making a big difference for those with latex allergies. Recently, gloves are being used for all kinds of jobs, like sanitation and food services. Today, surgical exam gloves are used during all procedures for dental assistants safety. They are used to protect themselves and the patient as well. These gloves have been developed so that they are comfortable to wear and better for hands than in the past.